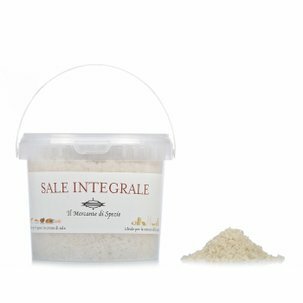 The Fleur de sel Tangerine and Pink Pepper Salt from Il Mercante di Spezie is made with salt harvested by hand from the salt pans of Trapani where the winds favour a slow crystallisation. 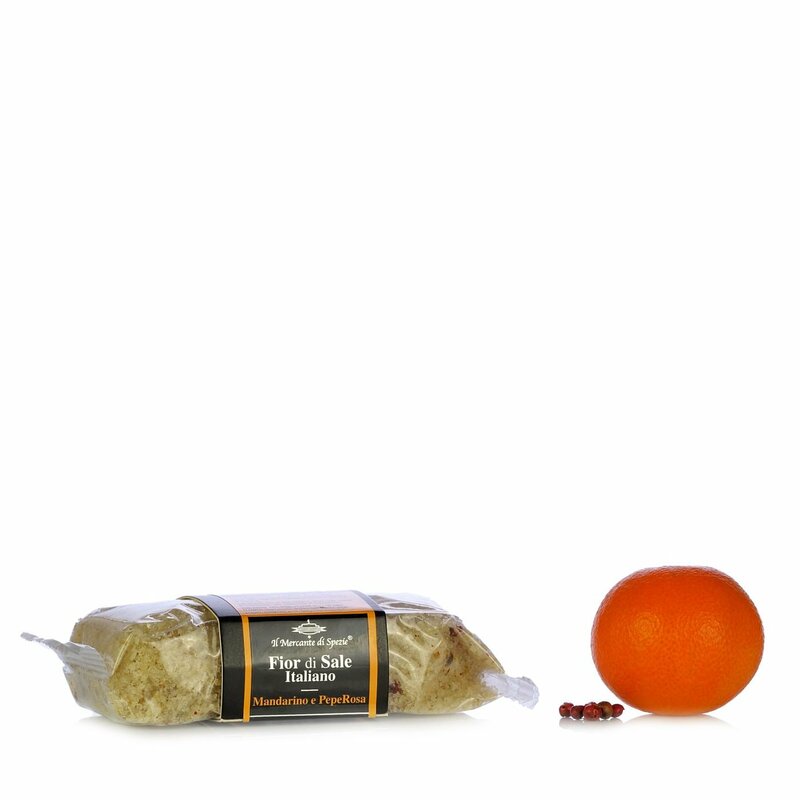 The delicate citrus of the tangerine blends perfectly with the aromas of pink pepper. A blend of aromas to be used to enhance delicate flavours. Use it with fish and white meat dishes with minimum ingredients in order to appreciate the flavours at their best. Ingredients Italian fleur de sel 97.7%, Tangerine peel 1.3%, Crushed pink pepper 0.93%, Essential tangerine oil 0.07% For more information on product labels, please contact our Customer Service department. The information on the labels of the products may vary for reasons beyond our control, therefore, there may be discrepancies between the information on the site and that on the products delivered. Please always check the information on the product before consumption or use.